Fonts are (c) Bitstream (see below). DejaVu changes are in public domain. a trademark of Bitstream, Inc.
be included in all copies of one or more of the Font Software typefaces. copy of one or more of the Font Software typefaces may be sold by itself. Copyright (c) 2006 by Tavmjong Bah. All Rights Reserved. the words “Tavmjong Bah” or the word “Arev”. OTHER DEALINGS IN THE FONT SOFTWARE. The DejaVu fonts are a font family based on the Bitstream Vera Fonts (http://gnome.org/fonts/). Its purpose is to provide a wider range of characters (see status.txt for more information) while maintaining the original look and feel. 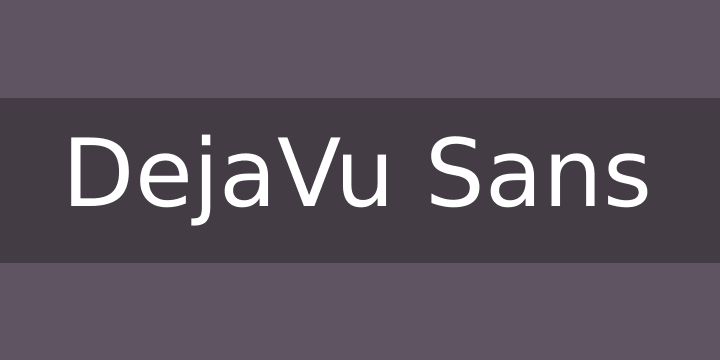 DejaVu fonts are based on Bitstream Vera fonts version 1.10.